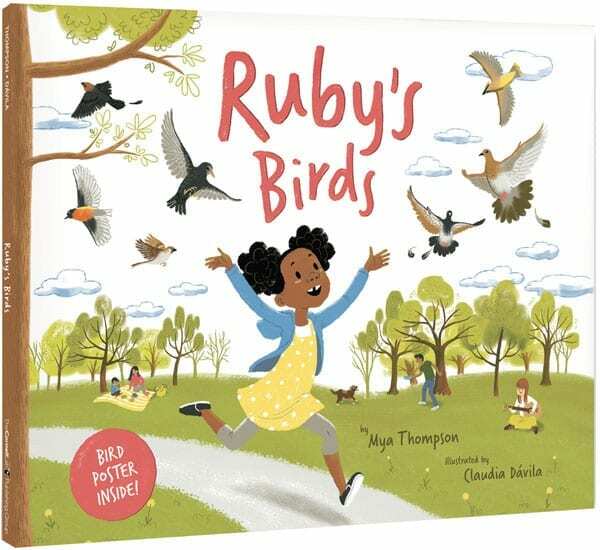 Meet Ruby, a plucky young girl who uncovers the wild side of her city neighborhood with the help of a grown-up friend. 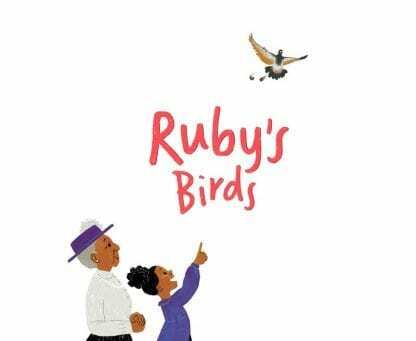 When Ruby realizes there are amazing birds right in her neighborhood, her imagination takes flight. Birders have a name for the moment they get hooked—they call it their spark moment. This is the story of Ruby’s spark moment in her very own words. 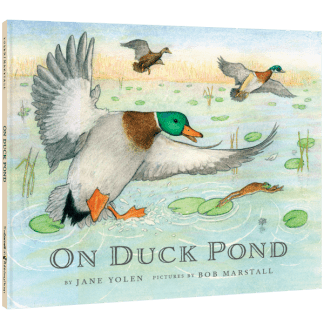 This delightful story includes a seek and find element with birds hiding on nearly every page. Information about where to find all of the birds in real life follows, plus Ruby’s tips for taking a nature walk, and how to connect with Celebrate Urban Birds, a citizen-science project at the Cornell Lab. Mya Thompson has a Ph.D. in Animal Behavior from Cornell University and currently works at the Cornell Lab of Ornithology, where she is the creator of Bird Academy and the author of games including BeastBox and Flap to the Future. Mya lives with her husband and two children in Ithaca, NY, where she enjoys taking walks with her kids leading the way. Claudia Dávila writes, illustrates, and designs books for kids of all ages. She is the author-illustrator of the picture book Super Red Riding Hood and a graphic novel series, The Future According to Luz. Born in Santiago, Chile, Claudia now makes her home in Toronto with her husband and their two kids. They spend many evenings together drawing, sketching, and making up funny characters and super silly stories.